Bob Rosenberg- The Yoda of my life. 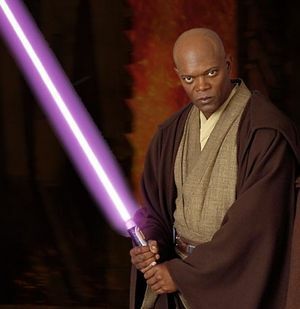 Ah well, what can anyone say...Motherhood is an underappreciated but rewarding role in life....but, Mace Windu, completely win - win. Moochie saw the picture and asked if it was from Star Wars. (We're not informed here about the way of the Jedi.) She read the post, and after I reread it to her with speakers attached, she said: "Ow. He should have said he loves his mommy." I said mommy would already know this to be true, but the Mace guy? Maybe not. More often than not, that kid of yours makes me laugh out loud. Thanks for the smiles! Haha, Bob really knows this life :) I think I will keep this in mind just in case - would be hilarious to repeat this situation in real life :) :) thank you for posting.